David Nance at The Sydney, July 7, 2017. It’s been pointed out to me that David Nance didn’t just come out of nowhere. He’s been plugging away and putting out music since before 2013, including as a member of Simon Joyner’s band The Ghosts. And while I knew this, my point was that it’s been within the last year or so that Nance’s profile has exploded. I point toward Matador co-founder Gerard Cosloy who listed among his favorite recordings in 2016 Nance’s More Than Enough (Ba Da Bing Records). That captured some people’s attention, but Nance already had the ball rolling thanks to his live sets. Last Friday night was another classic Nance performance, this time at The Sydney as part of Benson First Friday. Nance backed by a drummer, bass and someone making noises on a pedal, ripped through a solid set of songs, some of them off his remarkable new album Negative Boogie, which comes out this Friday on Ba Da Bing. The difference between this set and past Nance sets (for me) was the shorter songs. I’ve seen Nance play sets comprised of only two 20-minute noise ensembles. By contrast, Friday’s set was practically a pop concert. His guitar work is already respected — ranging from big riffs to lead fills to walls of feedback — now his voice is taking center stage. The only comparison in my mind is early Jon Spencer, and Nance does have a similar stage appeal, albeit hidden behind that huge head of hair. I managed to capture a couple songs on Facebook Live Friday night, which you can view below. The picture doesn’t come in focus ’til after the 30-second mark (wtf, Apple?!). Yesterday Brooklyn Vegan premiered a track off Negative Boogie. BTW, if you missed the last Friday’s show, Nance will be playing a duo release show with Noah Sterba this coming Friday night at Reverb Lounge. Sean Pratt & The Sweats opens. Sterba’s new album, 13-Bar Blues, comes out Friday on Simon Joyner’s Grapefruit label. 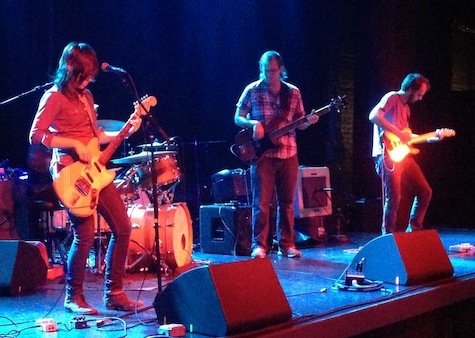 Also on last Friday night’s bill was Oquoa, who had the center slot. This is one of the tightest collections of local all-stars Omaha has to offer. Now if I only knew what language frontman Max Holmquist was singing in. Max’s vocals make lyrics virtually indecipherable and are more of an additional instrument to the overall psychedelic/shoe-gaze sound. It’s interesting, but I confess to be a lyrics dude who gets added enjoyment when he knows what the music’s about. Speaking of undecipherable lyrics, opener FiFi NoNo provided a tense barrage of rhythmic noise, augmented by shriek/mumble/yell vocals. You either got it or you didn’t. I thought it was a weird trip. Matthew Sweet at The Waiting Room, July 8, 2017. 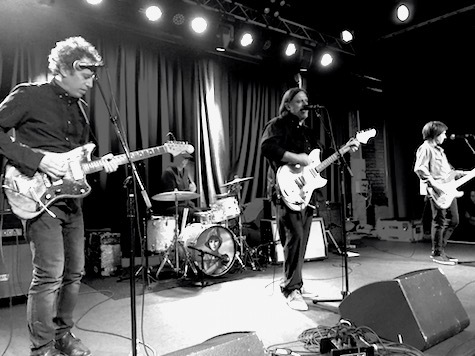 Saturday night’s Matthew Sweet show at The Waiting Room drew a respectable crowd — respectable both in size and in manner. It was nice not being the oldest dude in the room for a change. In fact, the majority of fans looked like they were in their 50s, no doubt followers of Mr. Sweet since his ’91 breakthrough album Girlfriend. Well, those fans got what they paid for as Sweet performed the best songs from that album, including the title track and my personal favorite, “Winona.” The happy crowd sang along to all the hits, which Sweet and his band performed as if they’d been playing them for more than 20 years. My only criticism is that Sweet and his band don’t do much on stage except stand there and play, which can become somewhat boring, but the crowd didn’t mind as long as he kept playing those oldies. Matt Whipkey dropped a couple new tracks from his upcoming album, Driver, via his Pledge page yesterday. Matt says he likes this new pre-sale platform. Check them out. Speaking of new music, Under the Radar yesterday began streaming the entire new Twinsmith album, Stay Cool, which comes out Friday on Saddle Creek Records. Check out the album here. Me, on the other hand, was mostly reminded of M83. This is definitely a change of direction for STDs. 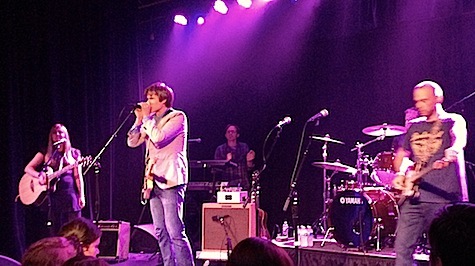 The band celebrates the album’s release Saturday night at The Waiting Room. Read Tim McMahan’s blog daily at Lazy-i.com — an online music magazine that includes feature interviews, reviews and news. The focus is on the national indie music scene with a special emphasis on the best original bands in the Omaha area. Copyright © 2017 Tim McMahan. All rights reserved. 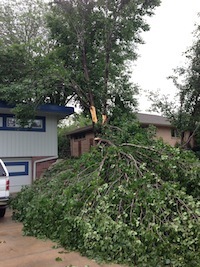 If a tree falls in your driveway and you’re not there to hear it, does it still f*ck up your entire day? Anyway, the band played songs off the new double-vinyl album, Penny Park, along with a few older chestnuts and a cover of The Temptations’ “Just My Imagination” that got the crowd swaying. It was, as always, a solid set by a guy who would accept nothing less. Whipkey and Co. at The Waiting Room, June 22, 2013. 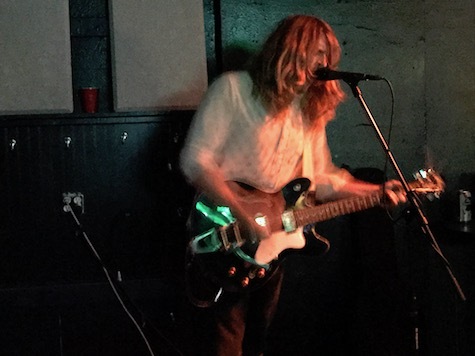 My takeaway from the show is the same that I have after all Whipkey-fronted shows and from seeing Brad Hoshaw and the Seven Deadlies in which Matt also plays, and it’s this: Whipkey is hands down one of the best guitarists in town, if not the best. His axe-work has always been — and continues to be — his strong suit. His solos provide sublime accents to his typical, traditional rock compositions. They are the pop of color that make the ensemble interesting. And what’s obvious to me every time I see him play is how effortlessly he does it. His guitar work is natural and organic and absolutely honest. He does it (it seems) without even trying, as simple and complex as breathing. As for the record, well, I’m reserving my opinion for now. Last week I mentioned in this blog that I thought the record was about Whipkey chasing tail at Peony Park. He was quick to correct me, saying he was only 12 when the park closed. So I stand corrected, though I don’t think his clarification impacts my interpretation of the lyrics (and the album cover). At this point, it doesn’t really matter what I say. Matt’s already sold a boatload of these records via a very successful Kickstarter effort (of which I also participated). My only question for Matt after doing the Kickstarter, distributing the albums (and other Kickstarter booty) and hosting the record release show: What’s next? Friday night I rode my bike up to The Waiting Room for the first time ever. and I must say it’s the only way to fly. My only anxiety was finding a place to lock my bike. The bike rack across the street from TWR already was filled. I ended up finding a rack outside Beercade, where I figured people would be outside smoking all night. A thief would be crazy to try to steal it from there, right? Mt. Moriah at The Waiting Room, June 22, 2013. But despite that, it took a good half hour (and a couple Rolling Rocks) before I finally relaxed and could enjoy the band, which in this case was Mount Moriah, a NC four-piece that played rusty folk rock reminscent of Neil Young but sung by a mysterious young woman who remained hidden beneath sweeping bangs. Cave Singers at The Waiting Room, June 22, 2013. 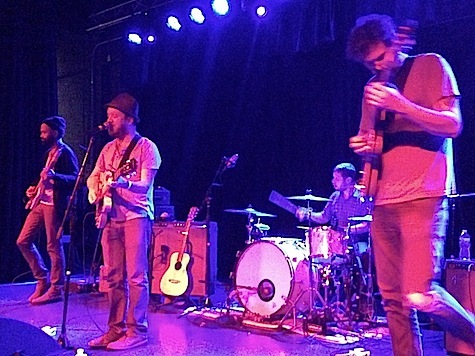 Cave Singers headlined Friday night, their first time back in Omaha in seven years. With the addition of the flautist and playing an even more rootsy style of folk that I remember, their sound borders less on Americana than jam band (and what’s wrong with that, I suppose?). Despite the quality of music, I ended up leaving before their encore to find my bike still in one piece. God bless you, Benson. The week’s starting off quiet show-wise. Not much until Thursday, when Well Aimed Arrows headlines (yes, headlines) at The Waiting Room with The Dad and Co-Axed. $7, 9 p.m.
Read Tim McMahan’s blog daily at Lazy-i.com — an online music magazine that includes feature interviews, reviews and news. The focus is on the national indie music scene with a special emphasis on the best original bands in the Omaha area. Copyright © 2013 Tim McMahan. All rights reserved.